Did you know there are pheromones in pizza? It's true. Anyone who has spent any time in college knows this. 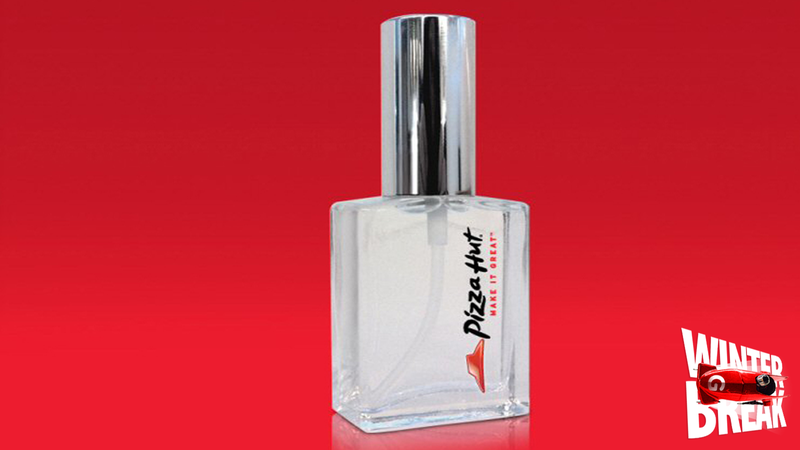 And so does Pizza Hut, which just came out with Pizza Hut Perfume. The scent is fresh, hand-tossed dough. Unfortunately, it's only available in Canada, which is weird only because pizza is American.110 lucky fans of Pizza Hut Canada on Facebook will be able to get their sausage fingers on a free bottle. But there is a chance that some day, if the planets align, Eau de Hut could end up in stores on our shores.